Explore new places off the beaten path. Share the sites you knew as a kid with your own family. Designed with the insights of a seasoned Fifth Wheel enthusiast, the Sportsmen is distinctively styled with residential details. The best pull in town! 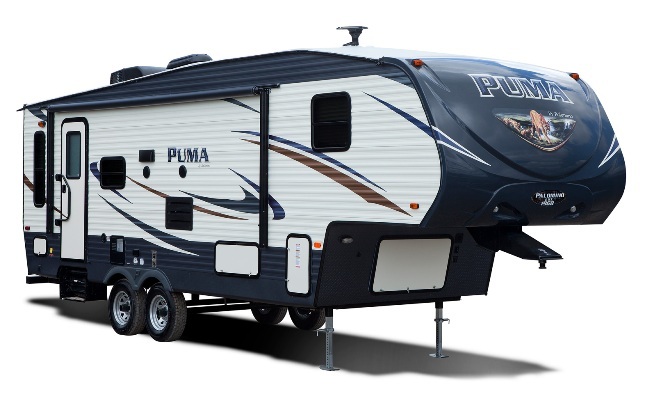 Puma offers multiple Fifth Wheel floorplans that include options for every lifestyle, from couples coaches and bunk models, to the Side Paw outside kitchen. Half ton towable.